Between the town and the sea, the ibis Calais Car Ferry is located at 5 min from the city center and the car ferry terminal. 10 min from the Channel Tunnel and the fine sandy beach. Our 55 rooms have Internet. You can also enjoy the café restaurant, bar s erving snacks round the clock, terrace and private car park. On the Opal Coast, Calais is an ideal place to relax and enjoy panoramic views from the capes. Situated 5 minutes from the Car Ferry. Room extremely small as the double bed took up most of the space. This Ibis is unfortunately overlooked in preference to its neighbours at the Eurotunnel terminal. That is a mistake. This is a great little hotel because of the staff team who are outstanding. It is also a closer walk 20 minutes to the heart of Calais. Parking is free and secure and breakfast is plentiful. When we travelled we were especially impressed by the way the team managed breakfast towards the end of the ‘service’. It was still plentiful and they asked if they could start putting away everything before they started, even though it was last 10am and we had been late. It is also a great base for exploring the region and filling up with cheap fuel without queues. Easily accessible from car ferry or tunnel. Great free secure car parking. Dogs allowed. Reception friendly. Corridor to room tired. Room small, tired, loo smelt, bed comfortable. This ibis needs a refurbish! Very comfortable, friendly and efficient. Firstly got the wrong hotel as there is two nearer to Eurotunnel where we were staying. Friendly reception, clean room, comfortable bed and a good night’s sleep followed by a really good breakfast. Stayed 4 nights here on a sort break. Great breakfast, good rooms, friendly staff. Although they do evening meals its just a shame that there are no other restaurants nearby! Can't fault the staff at the hotel, and it was cheap at £40pn. However the room we stayed in was very dated and smelt of smoke, which wasn't very pleasant. Could do with a lick of paint and a facelift. Basic accommodation more than adequate for overnight relatively close by car to Calais Car Ferry Port. Comfortable, clean and very close to the ferry. The check in was quick because we’d checked in on-line in advance. Our room was comfortable and clean. Staff were friendly and efficient. Plenty of car parking and very close to the ferry. We’ll happily use this hotel again. The first room we were given had not been cleaned after the previous guests, so we had to return to reception to get another. Otherwise everything was fine. Also we could not pay in euros with our french Credit Agricole card over the internet as it is a Mastercard, so we had to pay using a British Visa card which incurs extra charges to pay in euros. 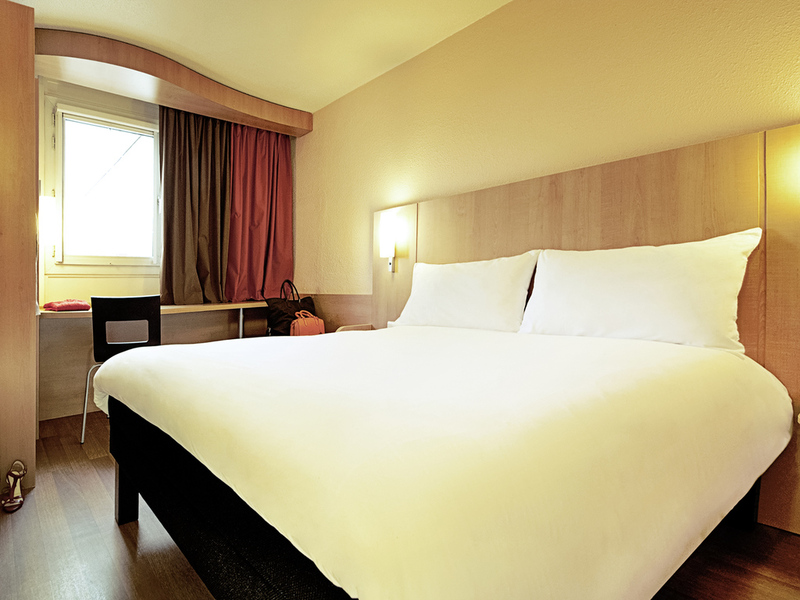 Good value stay close to Calais centre and the tunnel. Good location, comfortable bed. Fantastic shower. Excellent breakfast.